Congratulations! If you've made it this far, despite today's title of History Lesson, you are indeed brave. Or crazy. 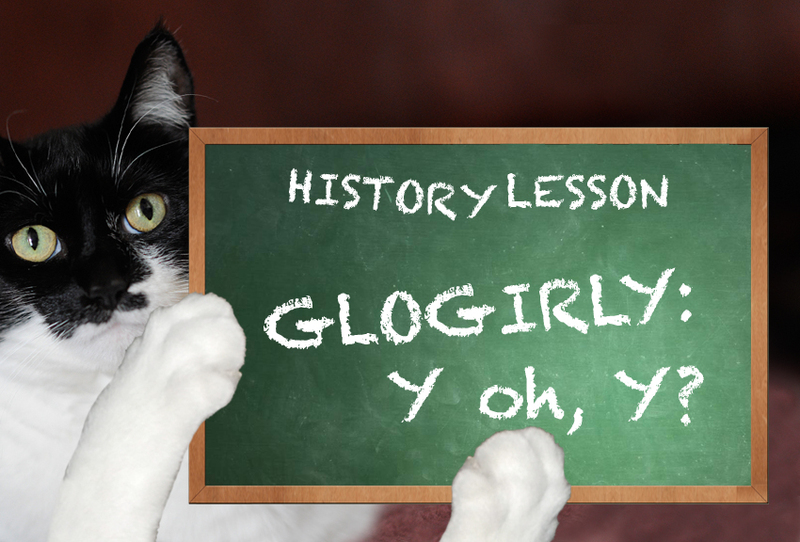 Glogirly wasn't much for history in school. Could have been the blue-bee-hive-headed history teacher. Could have been the class was right before lunch. Cool illustrations by Pizza Party Ok...I did add a few things to them! Either way, she's not much of a history smarty and there's not going to be a test at the end of this post. So we discovered that Glogirly made a mistake on our Real Housecats Audition Page. That's the page where all the cool cats go to find out how to submit their photos and bios to us. This dizzy girl of mine typed the WRONG email address! Good grief, how hard can it be? Our email address is G L O G I R L@ blah-de-blah-blah dot com. She typed G L O G I R L Y@ blah-de-blah-blah dot com. So it got me thinking... WHY on earth is our email address "glogirl" and not "glogirly" for crying out loud? Here's where the history lesson comes in. You were wondering weren't you? So how did Glogirly get her name and Y, oh Y, is our email address missing the all-important Y? Well, the girl was just a girl until one day when she tap-tap-tapped on a strangers door. When that door opened, she met Gloman. It was a chance meeting, love at first sight and a day that changed the course of history for the girl and Gloman. Gloman is Gloman because he's adorable and sweet and wonderful and cute. (ok, I REALLY didn't say that.) He's also Gloman because the first three letters of his last name are Glo. Just before the girl and Gloman were to marry, the girl thought about what kind of wonderful gift she could give her new husband. Many of her friends had asked her, "so are you going to keep your last name?" The girl loved her name. She'd had it for almost 40 ::gasp:: years. Gloman's name was a mouthful. NO ONE could say it OR spell it. That's when she knew. There was a very special gift that only SHE could give her Gloman. The gift of taking and loving his name. Cool illustrations by Glogirly's friend, Kristin. So on their wedding day, the girl that married Gloman became Glogirl. And what about the Y??? When did Glogirl become Glogirly??? Well we've got Blogger to thank for that. Poor Blogger so often gets a bad rap. Everyone hates the word identification thing. The WordPress people think their all that. Blah. Blah. 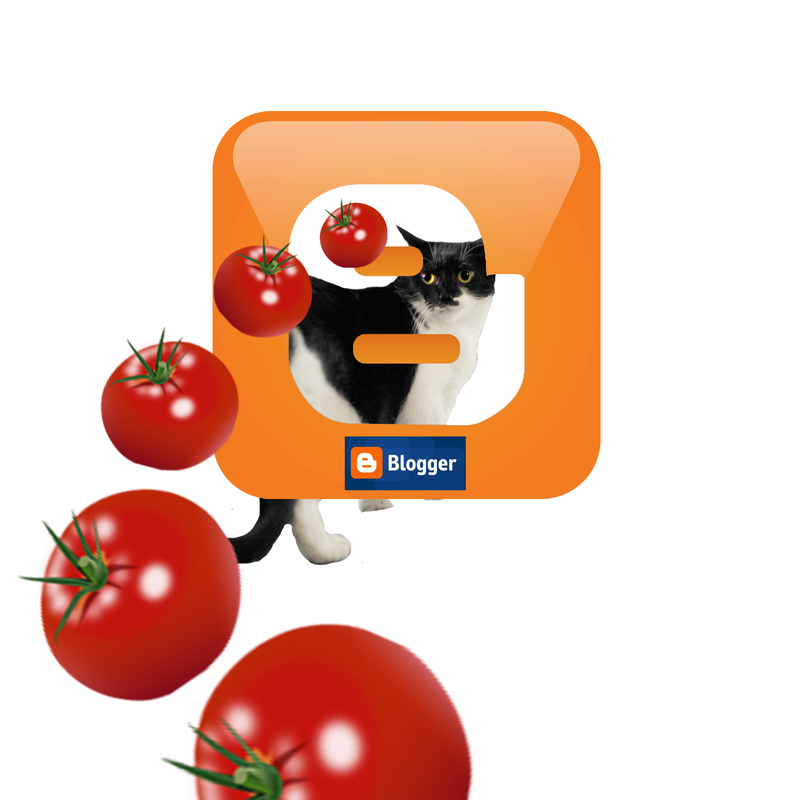 Poor Blogger gets a bad rap. When my girl and I decided to try our hands and paws at this blogging thing, we started with Blogger. My girl was SO mad that someone ELSE had already snatched up her name, Glogirl. And they weren't even using it! What, oh what, was she going to do? We thought long and hard over it. I'd like to think it's my girlish kitty beauty that inspired her. But it was actually her best friend from junior high school, who to this day calls her Girly. So THAT'S how Glogirly was born. This concludes our History Lesson for the day. Pee S - In case you're thinking I've gone soft on Gloman. Well it's his birthday tomorrow and I'm cutting him a little shred of slack. Pee Pee S - For you cats that either tried to email your audition stuff or still want to, the email address on the application page is fixed! Just click HERE. I think that is interesting about the Y.n My sister Zoe often wonders why she never got a Y on her name! Hi - Thanks so much for your comment. We are going to try and get some pictures of Rosie this weekend - eyes open - and send them your way. She definitely has the Real Housecats attitude! My human assistant is fan of yours on facebook. She LOVED the first episode of Real Housecats! By the way, I am a cat-loving dog. 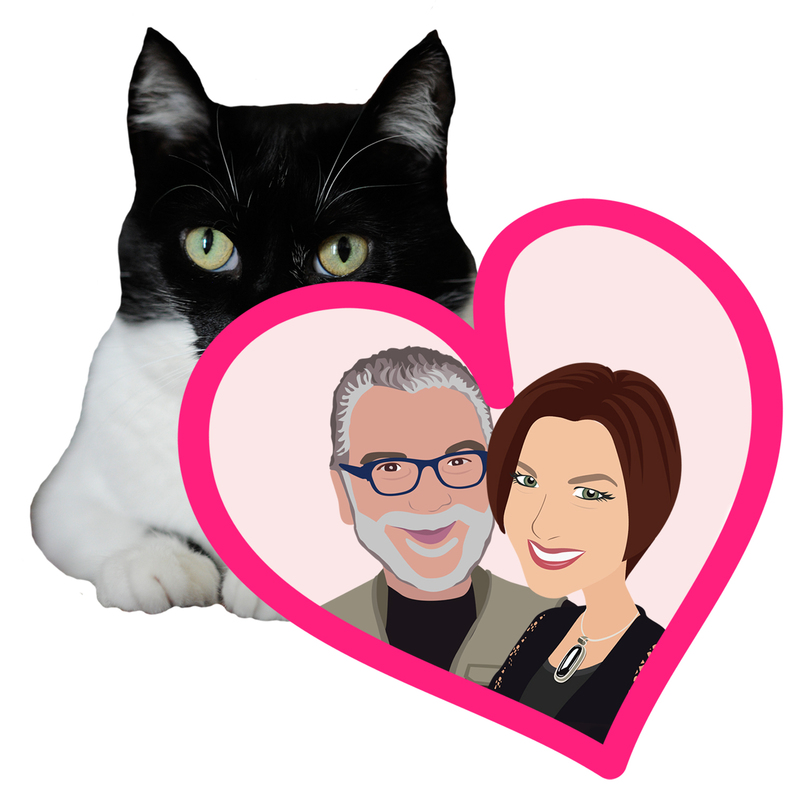 In fact, I get along better with cats than dogs (don't tell any of my dog bloggie friends). I have two feline sisters, but Rosie is the real drama-loving kitty. We will see if we can get some good shots this weekend. The previous comment was actually from me not my human assistant (who forgot to switch identities). 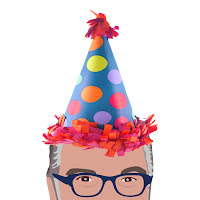 Happy birthday (tomorrow) to Gloman! He is very lucky - my human doesn't like her last name at ALL and she still ain't giving it up for nobody! I think she loves being a feminist (which she began being back when it was fashionable) more than she has ever been in love. So I wasn't the only one to misspelll Glogiry, er, Glogirly. I like the way you tied everything together, Katie. See you for cocktails w/Snooki later. That's a pretty cool story about how Glogirly got her name. And Happy Birthday to the Gloman!! Thanks fur fillin in the gaps! We did wonder about her Glogirly got her name. Happy Birthday to the Gloman! That's interesting! Happy Birthday, Gloman! Could Glogirly also add glogirly@blahblah as an alias? Then both would work! This was a very interesting history lesson. 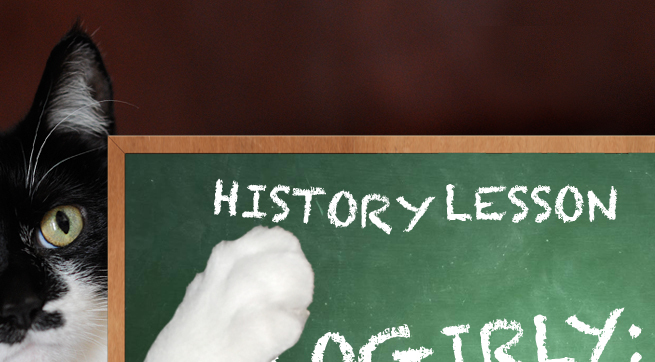 WE think that was a great history lesson. We enjoyed learning all about a Y. There really are lots and lots of Y's at the end of names. Hope your next Housecats is a huge success. Take care. We enjoyed the history lesson. We resent Scylla's stuff, hopes you got it. Happy Birthday to the Gloman. PS: Mommy couldn't wait to get rid of her maiden name as it is very common. She loves Daddy's last name as it is very unique where we live. But it also is how she became Alasandra, she used to be just plain Sandra. What a great history lesson! Thanks for sharing it. Our Daddy's last name is a very long (13 letters) and hard to pronounce one. Mom's name when they got marrie was easy. When she went to change her drivers license in for her new name the person just looked at her and asked "WHY?" Now we know more about your name Glogirly - it's funny we don't know why Mum didn't ask you about it herself cos one thing we can say about her is "she's not shy"! Oh and we love the graphic elements and pictures you use to tell a story! Happy birthday to Gloman! Mommy loves your Photoshop skills! Katie, happy birfday to Gloman tomorrow. I'm so glad you cut your daddy some slack here. He'll appreciate it too. I am one of the odd ducks of the world who actually loves history! I had planned on being a history professor, but, oh well, lets just say that life had other plans!! But, now I am teaching history - I am combining cats with education and how to help the world treat them better, so that is a very good thing!! We love the Glogirl(y) story, but are relieved there is not a quiz!! Happy BD to the Gloman!! I didn't know there was a Gloman, but happy birthday to him, and thanks for sharing your interesting story. Usually history is soooooo boring but this history lesson was so interesting I read it all the way through without taking even ONE nap! me wants it sing your daddy the Birthday Song! Fantastic post, very interesting history indeed! Happy Birthday Dear Gloman! And many more...I'z got my jazz paws goin' bigtime for ya and wish you a great year ahead! Awwwwwwwww!! What a romantic history lesson!! Now why can't all history lessons be like this!!! I'd have attended your class withouth fail lovely Katie!!! Hope that Gloman had a GREAT birthday ! !